My Fire and Rescue Service career began in 1992, when I started in Merseyside as a Firefighter. 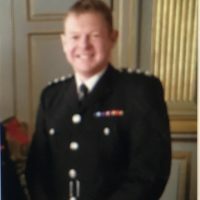 I have progressed to a Senior Officer position, retaining responsibility for a broad set of references including Response, Prevention and Protection and more recently leading the Operational Planning and Contingency Planning Teams through the Preparedness function. Due to the (often traumatic) nature of Emergency response and the associated psychological effects on our staff, I developed an interest in mental health and emotional wellbeing. Along with the Services’ mental health lead in 2012, I researched, developed and introduced a procedure to offer pre and post-trauma support for our staff; a procedure that would challenge our staff, our Service and long developed cultures and beliefs. Critical Incident Stress Management (CISM) is now embedded and I continue to actively lead the procedure. Working locally, regionally and nationally in collaboration with other emergency services, I share ideas, challenge our initiatives and provide support for teams and individuals whilst strengthening our organisational resilience. I am a sitting member of the Cheshire and Merseyside Suicide Reduction Partnership Board, where I am proud to make a positive contribution to developing and delivering the Strategy to enable us to reduce suicide within the region. I look forward to sharing my experiences, challenging myself and others and working nationally with similar-minded colleagues as part of the Positive Practice in Mental Health Collaborative.